When Talad Nam Damnoen saduak or 'Bangkok's' Floating Market was revealed to the world as new tourist destination for the first time in 1967 more than 40 years ago, the place was clumped with small row-boat loaded with various kinds of commodities necessary for living by venders dressed in traditional ways and worn “ngob”, a hat made from palm leaves, trading with each other on their boat. 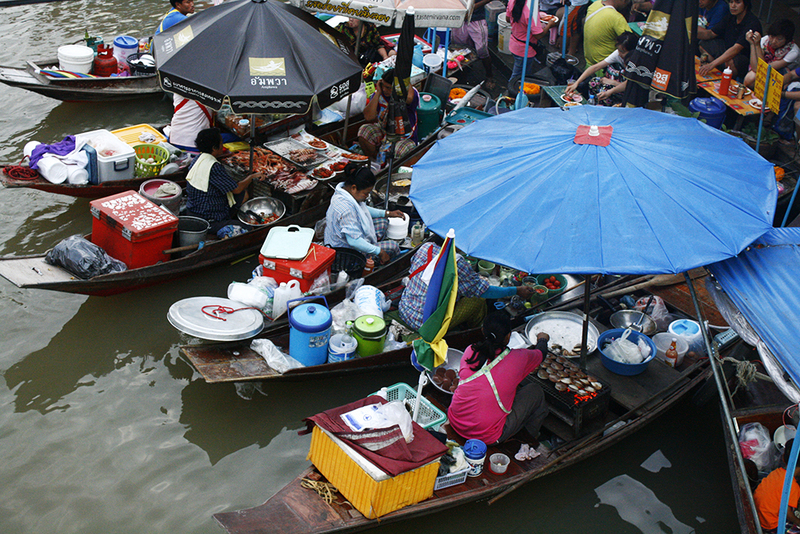 Nowadays, this floating market is renown all over the world and has become one of the must be visited place. Damnoen Saduak's Floating Market is more than hundred years old. It has become a trading place for villagers who lives around the area since King RAMA IV ordered Damnoen saduak canal to be dug.The area had no access road and most of the people around here used boat to communicate in daily life. 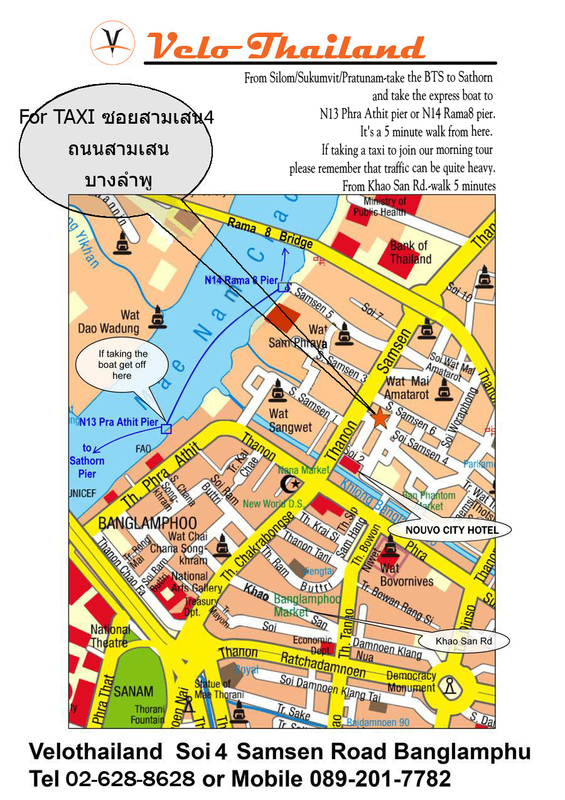 In fact the whole area still lives around Klong (canals). Damnoen Saduak Klong connects 2 main rivers in the area, Mae Klong and Tha Jean . The canal was built in 2 years. For tourists who visiting this place, it is a spectacular sight to see hundreds of boats loaded with goods. Although it has lost some of its charm to allow for the increasing number of tourist visiting every year, Damnoen Saduak's market village is an amazing place and has still kept its original purpose and is very different from the recently organized floating market in many other provinces. fully supported day ride Inclusions support vehicle, ferry, bicycles and helmets, lunch, water on the ride, boat ride at floating market and local tour guide.